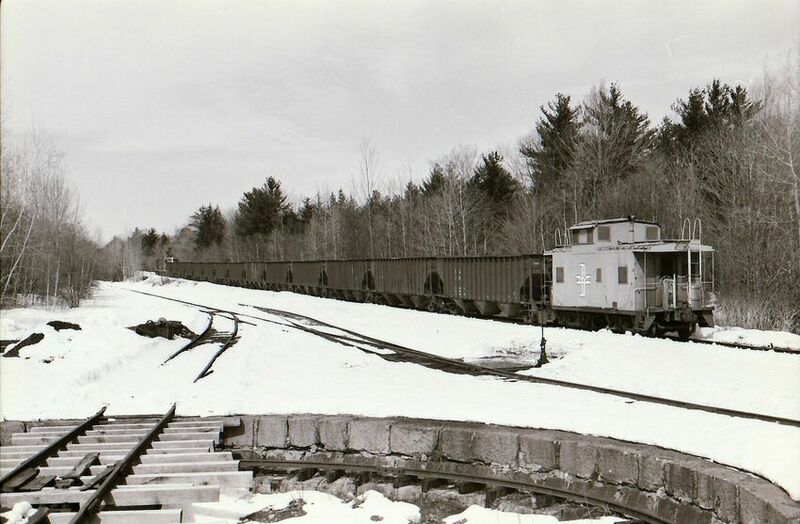 DI-1 northbound with about 14 empties ( B&M 10000 series 70 ton hoppers) for Ossipee Pit. Job no longer goes through to Intervale and take rest in North Conway as the symbol would indicate. They will will turn with loads from Ossipee Pit and return to Dover.. The Wolfeboro Branch goes of to left and the turntable was reactivated by the Wolfeboro Railroad. Photographed by Bruce Nelson, March 9, 1974.